Today I had the pleasure of attending a meeting at my school, IDC Herzeliya, between members of IDC and three University professors from Sweden. The purpose of the meeting was to discuss possible ways of cooperation between IDC and the relevant University in Sweden, and how to better market IDC among Swedish students. Myself, and other Swedish students at IDC, were invited to give our input in the matter, as Swedish students living and studying in Israel. Israel is not the obvious choice for most students looking to study abroad, unfortunately, I would say. 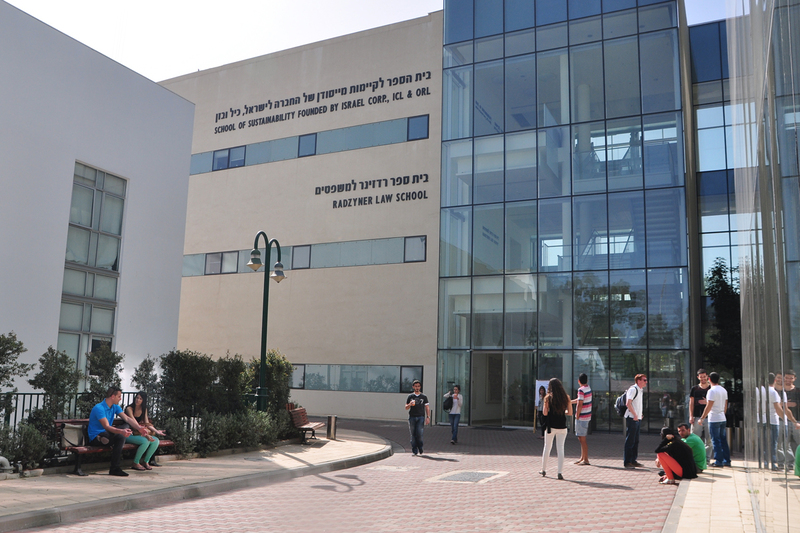 I would assume that a lot of students around the world, unless they have any form of connection to Israel, don’t even realize that Israel offers high quality graduate and undergraduate programs in English for International students. Being Swedish myself, I know that people in Sweden in general know very little about Israel as a country. The things we do know, we unfortunately pick up from media, and so we have quite a distortet image in our minds of Israel as a country associated mostly with conflict and war (and possibly camels too). While in reality, Israel is much more than that, without denying that conflicts exists, because they obviously do. So, just as was mentioned in the meeting today, if we are going to be honest with each other, there is no easy way to answer this question. Obviously Israel is located in a sensitive area, and yes, occasionally the conflict is felt, and from time to time over the years, the country have and will experience war of some sort. To guarantee anyone that he or she will always feel 100% safe in Israel would be a lie, because nobody can make such a promise. On the other hand, I would also not promise anyone absolute safety in, say, Sweden. What it comes down to in the end of the day, in my opinion, is this: during the almost six years that I have lived in Israel by now, there has been a total of one maybe month when I actually felt relatively unsafe here in Tel Aviv, where I live, which was during the war with Gaza last summer. Other than that, in my day to day life here in Israel, I often feel safer than I do back in Sweden, and there are a number of reasons for this. I am never afraid to walk home alone in the night in Tel Aviv, which I would avoid doing where I come from in Sweden. There are always people outside here, day and night, so I am never worried that something will happen. Many feel uncomfortable about all the security connected to public places and transportation in Israel, and I too was unsure how to feel about it at first, but now when I got used to it, I actually don’t see how we don’t do the same in Sweden (or anywhere else). Because people here take precautions to avoid that things will happen, I actually feel safer. In Sweden, anyone could basically walk in to a mall or similar carrying any kind of weapon, and nobody would know, or know what to do if something would happen. And a lot of people respond to that with “that’s because it doesn’t happen in Sweden”, but I would have to say that would be a somewhat naive statement. Because Israel is involved in wars, the security here is on top. So if and when something happens, everyone is prepared and knows what to do. So as far as the safety question goes, there is no definate and clear answer, but it is also not the main part of living in Israel. So what is it actually like to live and study in Israel as a Swede (a non-Jewish one also, in my case at least)? First of all, the weather is much warmer and nicer than in Sweden for the most part. And the fact that I can spend my free time on the beach, which is five minutes walk from my home, is not bad at all. Also, Sweden is only a 4,5 hour flight away with Norwegian airlines (my personal favorite). IDC is located in Herzeliya, which is a beautiful city by the beach, and a twenty minute bus ride, or ten minute train, from Tel Aviv. Overall, nothing is really far away here in Israel. I once drove from the farthest South to the farthest North in about eight hours; that is the entire country of Israel, right there (tiny!). The benefits of living in such a small country is that it’s easy to travel around, and where ever you want to go, it won’t take too long (unless there is traffic, which there is a lot of at rush hour, beware). IDC International School offers a number of complete undergraduate (BA) programs thought completely in English, and these are Business, Goverment, Psychology, and Communication, out of which I am now about to finish my second year in the Psychology program. They also offer graduate (MA) programs. As part of the International school I get to study with people from all over the world (really, any nationality you can think of, we have it), and at the moment I am one of seven students in total from Sweden. As part of the International school, we also get to study alongside the Israeli school. The professors at IDC come from different corners of the world, and the main thing I like about them, apart from the fact that they are well educated and know their thing, is that they really care about us students. I have heard stories from friends studying in other places about professors who doesn’t seem to give a s**t, so to say, but I always feel that our professors and teacher assistants do their best to assist us and listen to what we have to say as students. And they care about us performing well in their classes. IDC provides students with many unique opportunities. For example, I myself is part of the Honors Program in Psychology, which involves writing an Honors Thesis during the third year of my BA, something which is not common already on an undergraduate level. IDC arranges a lot of fun events for us students, both on and off campus, such as parties, sports, yoga, trips around the country, the International food festival, and volunteering, just to mention some. IDC also offers a lot of extra study help for us students, such as the writing center and tutors. As I mentioned, I am about to finish my second year in IDC now, and I have not regretted my choice to study there even once. As far as living as a Swede in Israel goes, first of all, we are many Swedes here, believe it or not. A lot of the Swedes living in Israel are in contact via Facebook, and sometimes we organize events together, such as the annual Midsummer celebration (can you imaging the curious looks Israelis give us when they see a bunch of blonde Swedes dancing like little frogs around a pole with flowers, while drinking Absolut vodka and singing Helan går? It is totally worth it!). And of course, there is always IKEA for when we feel homesick. Also, Israel provides an interesting combination of ancient history, religion, and culture, that is difficult to experience in the same way, and within such a close distance, in many other countries. 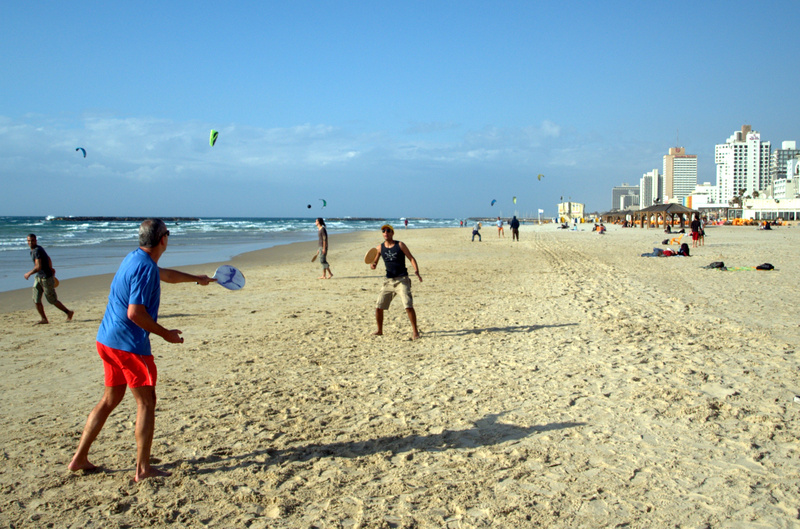 Similarly, when it comes to nature, Israel has a lot to offer despite its size. From Eilat in the South, with coral reefs and dolphins in the Red Sea, the desert and Dead Sea, the hills of Jerusalem, the Mediterranean coast line with Tel Aviv (which also happens to be one of the worlds most gay friendly cities) its beaches, and the green North, including the Sea of Galilee, and Mount Hermon, where it’s possible to ski in the winter. As you hear, there are far more to Israel than conflicts and camels (although, there are also camels, and they are really cute). Coming here to study, or even just to travel, is something I would recommend to anyone any day, without even thinking twice. If you happen to be Swedish (or any other nationality) and considering to study abroad, and interested in a different experience, I think IDC Herzeliya deserves at least to be a part of your possible options. Feel free to contact me if you are interested in more information and insight. A very convincing advert for both Israel and the IDC in Herzliya. And a very interesting read too. Bearing in mind that you could study anywhere in the world, what made you study in Israel? And I hope you never do regret it! I now look forward to your next piece.